10-23-18 Radical Transformational Leadership: What does this imply? Join us for this radio show. You will hear Suriyaprakash, Professor of Organizational Development in Coimbatore, India. We will explore the notion of stewardship for transformational leadership. It’s foundation on the inner capacity of every individual and sourcing that potential rooted in universal values, gives us a refreshing perspective to all that we do. In the process, we do what we did, differently. It is not about engaging in new ideas or projects – it is about doing the same thing differently. New spaces open up. Responsible Business’ as a practicebased course for second year MBA students in entrepreneurship. Working with varied sections of society– namely students, corporate managers, local grassroots community– we realize that the life issues people face are different. Yet there is one common challenge across the spectrum – to identify and get in touch with their (our) inner capacity to be more effective and manifest our full potential. Commercial success often leads to arrogance in corporate managers. This work brings humility without losing expertise, once they identify their inner capacity and the universal values they stand for. How do we design our breakthrough initiatives, projects and ideas based on the conscious full-spectrum approach for enduring change? This work creates a level playing field for everyone to contribute, irrespective of which level of the organizational or societal pyramid one is in. How can we bring ethics to the center of business decision making? How can we rehumanize the workplace? We will explore these ideas together. Bio: Dr. Suriyaprakash C is a teaching and supervising organisational transactional analyst with a mission to ‘rehumanise workplaces’. He is committed to make an impact in organizational policies and practices by transforming them into spaces for people to realise their full potential, through his breakthrough initiative programme on ‘developmental transactional analysis for organisations’. Currently he is professor of organisational behaviour at Jansons School of Business and director-facilitator with Relations Institute of Development, Coimbatore, India, offering organisational development services through consultancy, training, coaching and counseling. 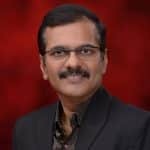 Suriyaprakash, PhD, Professor of Organisational Behaviour at Jansons School of Business, Coimbatore, has International Accreditation as Teaching and Supervising Transactional Analyst (TSTA) in the organisational field. He is a Master Practitioner in Neuro Linguistic Programming (NLP) and has over two decades of experience teaching, research, facilitation and industrial training and consultancy. He was Chair of Training and Certification Council of Transactional Analysts, and Vice-President-Operations (2007-2009), Vice President-Research and Innovation (2010-2012) and President of the International Transactional Analysis Association (ITAA 2015-2017) and is Secretary of the South Asian Association of Transactional Analysts (SAATA). Suriya received the Muriel James Living Principles Award of the ITAA in the year 2013 for his significant contribution to the advancement of transactional analysis by personal example and contributions of an exceptional and lasting nature. Suriya had done his counselling course (BTA) with Institute for Counselling and Transactional Analysis, Cochin. He has over 10 years’ experience in counselling and coaching at Asha Counselling and Training Services and in organisational counselling through Relations Institute of Development. He also conducts certificate course in Applied Basic Counselling Skills in Coimbatore. 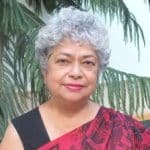 Suriya is Co-Director of Relations Institute of Development, providing Organisational Development Training and Coaching to Small and Medium Enterprises. He has trained thousands of managers, executives, factory employees, teachers, students, social workers and parents and logged over 10000 hours of teaching, training and consultancy using TA and allied models. His specialty in organisational development, with TA includes, creating awareness, team building, problem-solving, conflict resolution, group dynamics, communication and motivation. He runs advanced TA training groups in Coimbatore, Bangalore, Mumbai, and Hosur preparing organisational trainers, consultants, coaches and counsellors to appear for the International Certification as Transactional Analysts in the filed of Organisational Development and Counselling. He regularly presents workshops and papers in national and international conferences. In 2008 he conceived and since then has been offering courses on Transactional Analysis for Organisation Development/Developmental Transactional Analysis for Organisations in Coimbatore, Bangalore, Mumbai and Delhi. This is first of its kind in India.